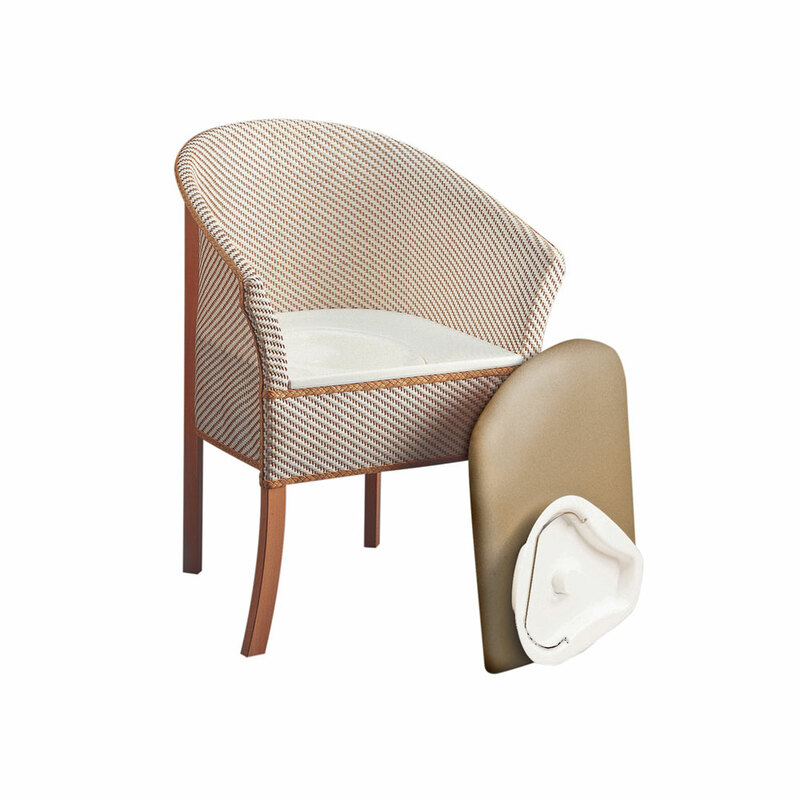 A basket weave commode chair that looks just like a normal seat when not in use. The high-quality wooden frame and basket woven upholstery are sturdy and attractive, and high arms are helpful when it comes to sitting down and getting back up again. The commode pan is concealed away from view. When not in use as a commode, there is a comfortable chair seat (easily removable), and the pan comes with a lid and carrying handle for ease of removal. 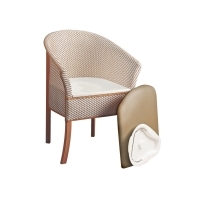 This is a really discreet commode chair that looks good and works well! I have a Basket Weave Commode by my bed. It is extremely comfortable to use. I am a diabetic and need to get up at least twice per night. The commode aids sleep more easily and is safer than wandering around to the loo in the middle of the night. It is easy to keep clean and fits well in the bedroom. I am not old but with my condition it is essential. I have had it for 10 years. Excellent service and the best price!